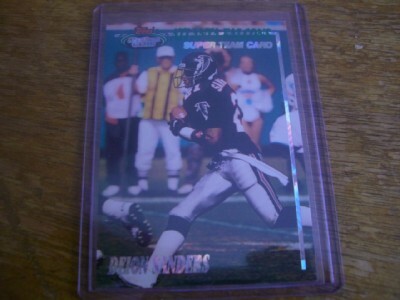 Atlanta Falcons 1993 Stadium Club Super Team insert card featuring former star cornerback Deion Sanders. NrMt-Mt or better. ONLY ONE AVAILABLE FOR SALE.